Here are the questions I receive frequently on email. They are about travelling in Japan. 1. Is Japan an expensive place to visit? If you compare Japan to other Asian countries, it is comparatively expensive. However, if you compare it to Australia, NZ, North America and Europe, it is relatively affordable. Accommodation is the most expensive thing you'll spend on when you visit Japan. Unlike in other countries, Japanese hotels base their rates on the number of people not on the rooms. Food is affordable. There are many tourist spots that are free. For transportation, there are various passes that you can avail for cheaper travel. Here's a more detailed answer: How Much Money to Visit Japan? 2.When is the best time to visit? Spring is the the most recommended time to visit because of the cherry blossoms. However, this is also the busiest time. March to early May are the peak months for tourism. Autumn is also great for sightseeing. The autumn leaves are as lovely as the cherry blossoms, for me. This season is shorter though. It usually starts late November to mid-December. If you want to do winter sports, January to mid-February is a great time to go. The snow is powdery and perfect for skiing and snowboarding. 3. What are the best places to visit? Most Japanese recommend Kyoto, Nara and Tokyo as the must-see places in Japan. Kyoto and Nara are historical places while Tokyo is the captial. If you are pressed for time, concetrate on the area of Kyoto-Nara and Osaka. Another alternative is Tokyo, Yokohama, Nikko and Kanagawa. However, if you have plenty of time, other places are worth a visit too. Consider visiting Nagano especially in winter. (It's my favorite place in Japan, by the way.) Hokkaido during the lavender season and snow festival is spectacular. 4. How can I make my trip cheaper? Take the local trains esp if the Juhachi Kippu is available. 5. What are the best festivals to see? My favorite Japanese festival is Hamamatsu Festival, of course. But that's just me because I live in Hamamatsu. Aside from this, the Snow Festival in Hokkaido is simply amazing. There's also Nebuta Festival in Aomori, Gion Festival in Kyoto and the risque Kanamara Festival (Steel Phallus Festival) in Kanagawa. 6. How can I get a tourist visa? If you're country is not there, you have to check the Japanese Embassy in your country about requirements to get a visa. 7. Aside from sushi, what food should I try? 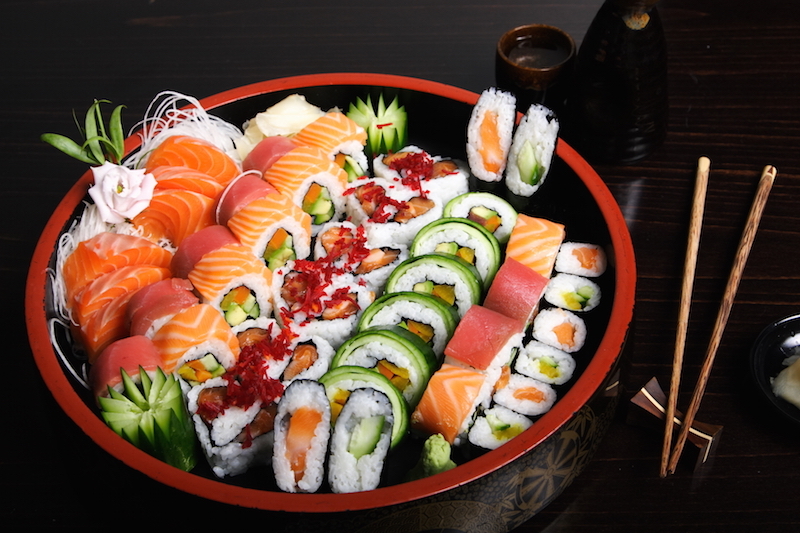 Sushi is not the only Japanese food you should try. Other not-so-famous Japanese food are natto, green tea ice cream, various-flavored Kitkats, and mochi. Japan is a great country to explore anytime of the year. There are modern cities and historical towns. There are amazing natural spots and impressive structures. And there's the unusual and strange Japanese culture. Japanese public transportation is not convenient. It is efficient, reliable and even comfortable. But, it's not convenient. Let's take the buses. From the main station, they leave on time. But from the bus stops, they're usually 2-5 minutes late because of traffic. Some areas also have few buses. They only pass once in an hour. Personally, I always have to take the 7:03 bus to go to work so I can arrive at around 7:45 in school. If I miss that, I'll be late. The next bus passing by my school leaves the station at 7:50. Then there's the famous "on-time" trains of Japan. Sure, they're almost always on time. If a delay happens, it is still certain that the train operators will do their best to keep the trains running. However, most people have to walk, ride a bicycle or drive to the train station. With my own experience, I have to walk 20-25 minutes if I need to take the train. If I live near the train station, I'd have to deal with costly rent and constant sounds of the train. Also, not all local areas in Japan are accessible by trains. In smaller cities, a private car is still the primary mode of transportation. It was a holiday last Tuesday. It was Culture Day and it was very apt to visit a very "cultural" place called Meiji Mura. Meiji Mura is a historical theme park in Aichi Prefecture. It's located in Inuyama, a place outside of Nagoya. It shows how Japan looks like a hundred years ago. I finally get to join a Japanese day tour. I've been meaning to join a tour but didn't see a need until last weekend. There's no special reason why I wanted to join a tour. I just want to experience it. I wanted to go to Furano and Biei in Hokkaido. The only options for me are taking the train for 6 hours or taking the bus tour. So bus tour it is! A Japanese tour is a JAPANESE tour. Don't expect the tour guide to be fluent in English. All announcements, reminders and description of the places during the tour are expressed in Japanese. If you're fairly new in Japan with very basic Japanese knowledge, I suggest stalling joining a tour. Some tours offer a recorded multi-lingual guide. But in our case, there was none. 2. Refer to the tour's English page. If you still want to join a tour and survive the experience, save or print the tour's itinerary. Not the Japanese version but the English one. Use a translator software to help you. Be familiar with your itinerary and times of departure in each place. This is a guest post by Claire Lovesti, a travel nut who has been to 48 cities in 26 countries on 4 continents! Read more about her on Traveltio. In the meantime, let me share her post which I totally agree with. It made me realize, I'm surviving Japan! Read on and see if you have survived Japan, too. The land of Sailor Moon, Hayao Miyazaki and those deliciously surreal Murakami novels is every bit as fascinating as you can imagine. From the top of Mount Fuji to the waves at Shirahama Beach, it’s not just manga series and sumo wrestling; Japan is a veritable smorgasbord of ancient tradition and modern technology, and it’s definitely worth a trip. 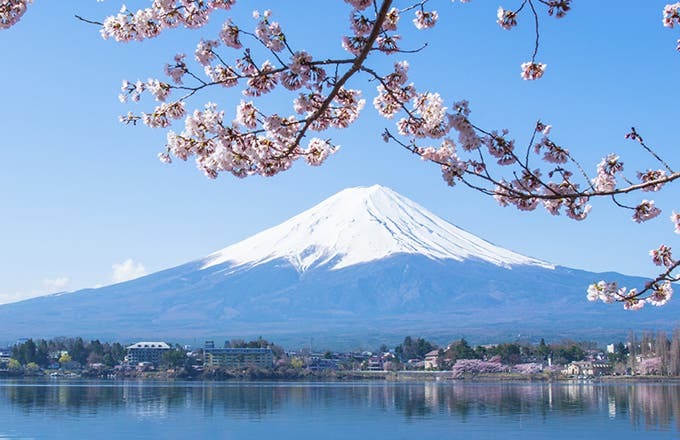 If you’ve been, nothing on this list will shock you in the least, and if you haven’t, this list might just shock you enough into buying a two-way (or even a one-way) ticket to the Land of the Rising Sun because surviving a trip to Japan is really all play and no work. I’ll get reminiscing and you can get travelling! 1. You love culture shock. I don’t think it matters where you hail from, be it London or a small town in North Dakota, the first time you experience Tokyo, Hokkaido, or Okinawa, you’re going to be jolted into a sea of incredible food, fashion, architecture, art and customs—it’s just going to happen. From the amazing (and ancient) live auction fish markets at 4:00 am to an evening with the Osaka Philharmonic Orchestra, there’s excitement around every corner by way of neon-lit city streets or snow-topped ski slopes, and it won’t be long before you fall in love with the traditions and diversity of this Pacific nation. 2. You can’t eat sushi anymore. 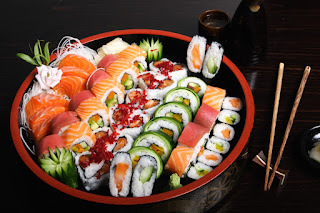 Amendment: You can’t eat sushi not made in Japan anymore. All of those great eats I used to frequent during college, and then with my friends to reminisce about college...yeah, those days are gone. I’m like a new person, a culinary connoisseur if you will, after tasting the best of the best in Japan. After hitting up Sukiyabashi Jiro (If you haven’t eaten here or seen Jiro Dreams of Sushi you need to get on that, instantly), or even just the street side sushi restaurants in Tokyo with it’s mind-blowingly fresh seafood and perfectly vinegared rice, there’s just no continental comparison. And this will never be clearer until you get home and try to grab nigiri—it’s a very sobering wake-up call. For tourists who are pressed for time in Japan, I usually recommend the Kyoto-Nara-Osaka tour. For me, these three places capture what Japan is. Kyoto was the old capital with lovely temples and shrines. Osaka is one big modern city with skyscrapers and colorful shopping districts. These two places are in perfect contrast of the old and new, the ancient and the modern. As for Nara, it's between those two places so might as well see the deer there. Here's a possible weekend tour of Kyoto-Nara-Osaka. I've used this a few times and recommended it too to friends who visited. They were generally happy with what they saw. However, let me clarify first what kind of traveller I am. I travel on a budget so I usually go to places with free entrances. I seldom take roads less travelled. I like sticking to popular spots. I love history and historical places but I'm not so much into temples and castles in Japan. They look the same to me. I'm not adventurous with food. When travelling, I eat because I need to. Perhaps, my travelling style wouldn't impress the travel guide websites. My style is simple and basic. I'm a common tourist who likes to take selfies in touristy places. Then, I'd like to post these pictures on social media because I want people to know I've been to beautiful places. And I also think the places are worth sharing. Anyway, here's a budget-friendly 2-day trip to Kyoto-Nara-Osaka. Note: If your place is nearer Osaka than Kyoto, you can just switch the Day 1 and Day 2 itinerary. Man: So we're travelling for hours to see flowers??? Man: This better be good. The artist then explained how it was truly his reaction when he first saw a wisteria tunnel. It was so beautiful. I definitely agree with him. I could even say that it's more beautiful than the cherry blossoms. 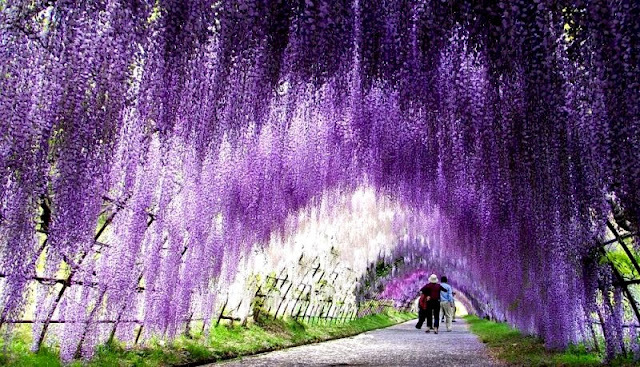 The dropping flowers of wisteria gives a fairy-tale quality to a place. It just looks so whimsical. So where can you see this whimsical wisteria? In Hamamatsu, you can find wisteria on the grounds of Gyokoji Temple, Iwata. I visited this place yesterday and the wisteria are in full bloom. Perfect timing! If you don't have a credit card to pay for flights online, you can use Wellnet. Wellnet is a Japanese online bills payment company. According to their website. you can buy bus tickets, pay domestic bills and pay flights using their service. I've recently used Wellnet to pay for my flight on Jetstar this July. I highly recommend paying at Circle K or Sunkus. The payment machine at Circle K and Sunkus are easy to use. It took me less than 5 minutes to get a receipt and pay my bills at the cashier. This is a guest post from Anthony, an ALT from Ibaraki Prefecture. Visit his blog on Christian books at Wonder Workbench. I recently visited Trinity Benedictine monastery in Fujimi City, Nagano. It was my first time to visit a monastery and I was not really sure what to expect. I just want some peace and quiet. And what could be a better place than a monastery? Two of the places I've visited last spring vacation were Hiroshima and Miyajima. Both places are in Chuguko Region, east of Japan. In spring, Japan's covered in flowers. In summer, fireworks are exploding everywhere. In autumn, bursts of oranges and magentas are all over the place. In winter, romantic tiny lights illuminate various places. This is a guest post from Caroline Secure Thoughts. She is originally from the US but is a long term expat and avid traveler. She has lived in various locations around the globe including spending a year teaching in Japan in 2014 which she loved. Caroline made sure to see as much of Japan as possible and also used it as a base to explore Asia further. Although she currently has a day job, writing about her international experiences is her passion and she travels as much as time and budget will allow. Her ultimate goal is to travel full time and see more of the world. It’s important to note that many of the Osaka’s historical buildings were destroyed during World War II, but their modern reconstructions are faithful to the original designs. 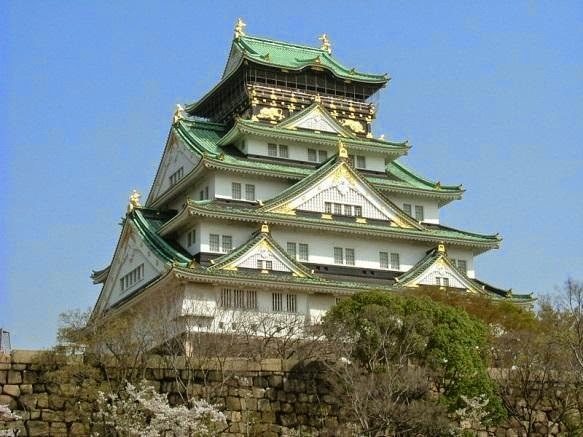 Osaka Castle is one of the city’s best-known sights, for good reason. Although a reconstruction of the original structure and lacking in some of the romantic charm of castles outside the city—such as Himeji—it is still an impressive building which is especially picturesque during the cherry blossom season. Inside the castle is a museum with many interesting artifacts, but if you’re especially interested in history, you may be better off visiting the nearby Osaka Museum of History, which has a far more comprehensive selection of exhibits. One great historical and religious site to visit is Sumiyoshi Shrine. This is one of the oldest Shinto shrines in Japan, and not only does it have some lovely traditional architecture, but it also sits in a tranquil park which can be a great place to escape the bustle of the city. 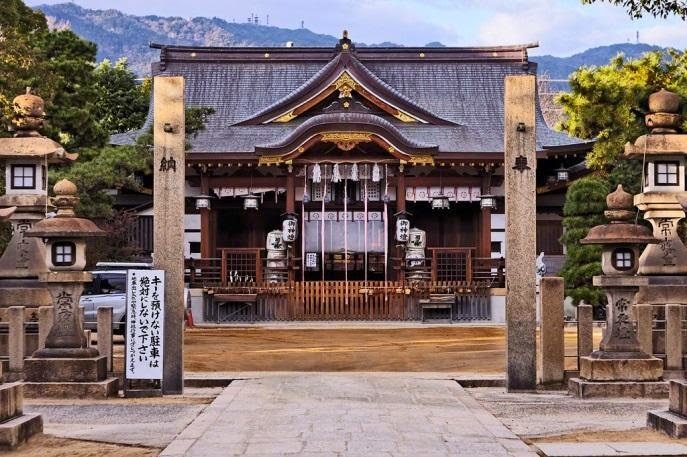 You may also want to check out the Buddhist Shitennōji Temple, which originally dates back to the 6th century. Unfortunately, most of the current buildings post-date World War II, but you’ll definitely still get a feel for the place. If you’re travelling with kids, they may not be totally interested in history museums or temples—but in that case, head to Kaiyukan Aquarium. This is one of the largest public aquariums in the world, and your kids will be thrilled to see fish, rays, sharks, and other aquatic species from all over the world. 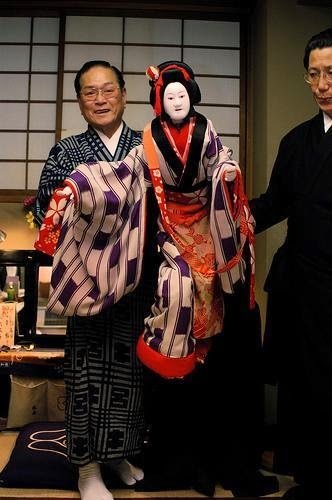 For a more cultural activity, try the National Bunraku Theatre, which holds traditional Bunraku puppet shows in the afternoons. There are two fantastic places from which you can see the city spread out beneath you. Your first option is to head to the gardens at the top of the nearly 60-story Umeda Sky Tower. 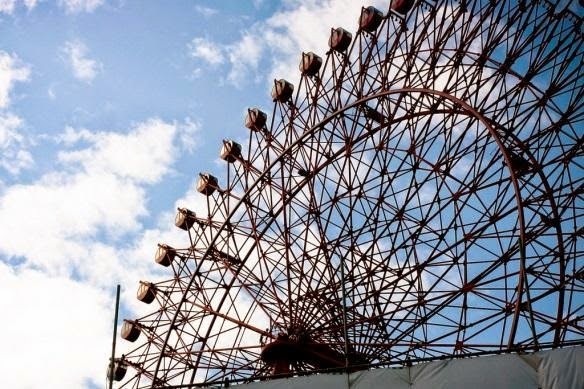 Your second option would be to take a spin around the Ferris Wheel in the Hep Five department store, which will lift you to a height of 347 ft. Either provides a spectacular photo opportunity—and they’re both especially magical at sunset, when you can watch the lights coming on around the city! Of course, if you find Osaka isn’t your thing, you have a couple options for side trips—try heading to nearby Kyoto for a glimpse at a more traditional, less urban lifestyle. There, you’ll have plenty of options for sightseeing. Or see Himeji Castle, which is often considered by tourists to be a more spectacular castle than Osaka’s. Of course, any side trip will require time in transit, so you’ll have to decide what you really want to do. Regardless of your interests, you should have no trouble finding plenty of things to do in Osaka during your time there. Prepare to be dazzled by this interesting city, while still getting a feel for its traditional and less-glitzy roots. After your first 48 hours there, you will absolutely be excited to return in the near future! I visited a friend last week. She lives in Chiba, less than an hour away from Tokyo. There's Chiba Tower, Lighthouse and the Tokyo Bay Aqua Line. If we wanted to see more shrines and temples, Nihon-ji Hokekyo-ji, Tanjo-ji, Manman-ji, Awa Shrine and Chiba-dera are just all around Chiba. Had we felt really genki (genki means active), we could have hiked Mt. Tomi, Mt. Atago or Mt. Nokogiri. If we wanted a leisurely cultural day, we could have visited Kawamura Museum of Art, Nambo Paradise Botanical Garden, Museum of Science and Industry or Suigo Sawara Aquatic Botanical Garden. There are really a lot of possible places to visit in Chiba. But, my friend and I didn't go to any of those places. Instead, we went to a very foreign place- COSTCO! Side Note: I haven't blog for more than a week cause I did a Sheldon. (You know the guy from the Big Bang Theory.) I've been on the train for a week travelling in various places in Japan. I have more than 2 weeks of spring vacation. That's one of the perks of being an ALT. I'll catch up on my writing this week and share the places I've visited. Odaiba's an artificial island a few minutes from Tokyo. It was originally designed to be a defense zone but became a commercial district. It has a port city atmosphere similar to Yokohama and Kobe- laidback but progressive. Don't miss visiting Odaiba if you're visiting Tokyo. I mean, it's really close so might as well see the things in there, right? Also, Odaiba's really a great place to spend a day. It's close to the city but it's not as crowded as Tokyo proper. You also don't need to spend a lot of money unless you're planning to go shopping. So what's not to miss in Odaiba? No introductions needed on this post. Let's just get to the main point. Here are the "whys" you should visit Japan now. As in N-O-W.
1. The yen is weak. This is the most practical reason why you should visit Japan now. Yen is hitting a 7-year low which means your currency has more value here now. You'll be spending less compared with others who visited the previous years. (In 2012, the exchange rate was 1 USD = 83 Yen. Now it's a whooping 1 USD- 121 Yen.) Some predicted that the Yen will get stronger before the year end so before that happens, visit Japan now. Japan is not Japan without its cherry blossoms or sakura. Although the cherry blossoms can also be found in Korea, US and Canada, Japan "owned" it almost like a trademark. Starbucks Japan has started serving its seasonal sakura-flavored beverage. Nestle also just released the sakura-flavored KitKat. I started seeing sakura pudding, sakura mochi, sakura ice cream, sakura tapioca and sakura sake. Loft also started selling sakura-filled postcards. Sakura flavored "somethings" is abounding in Japan signalling the start of cherry blossom season. I think cherry blossom season should be a season on its own. People in Japan just go crazy during this time- drinking under sakura trees day and night, eating sakura-flavored food, travelling for miles just to see lines of sakura and just uttering "kawaii" and "sugoi" endlessly when seeing a sakura tree. I can't blame these Japanese. Cherry blossoms are really pretty to behold. I think even tourists know this making the cherry blossom season the busiest time of the year in Japan next to New Year's celebration. This site has a nice cherry blossom schedule map that I can't fully copy. (So frustrating!) It also has a table that shows the schedule of the cherry blossoms in the last 10 years. This is one of the official agencies that predicts the blooming of sakura. However, it's originally in Japanese and is only translated by Google so maybe some sentences won't make much sense. But it has a detailed information for each prefecture. This is Okinawa's tourism website. Okinawa has the earliest sakura season. Apparently, it started last month. Kyoto's a popular spot for sakura viewing. If you want to miss the crowd but not the flowers, here's a great article written an author for Lonely Planet. He's also a long-time resident so I'm assuming this article provides great information. This is a great article on cherry blossom viewing in Tokyo. It provides inside information on where to go, what to do and how to have a great time during the sakura season. So start marking your calendars, plan for hanami and don't miss the sakura this year. Lately, I haven't been writing regularly because my busyness is killing my creativity. I'm working 10-12 hours a day, 6 days a week. I also have church responsibilities on Sundays. There's no time to think and allow ideas to grow. It's really true that too much work can drain art. (Art, really? hehe!) I want to write at least 3 times a week but whenever I open my blog, I'm just staring and staring on the screen. I'm not complaining about work, just hoping I can have more time to think and write. So that's about the side note. 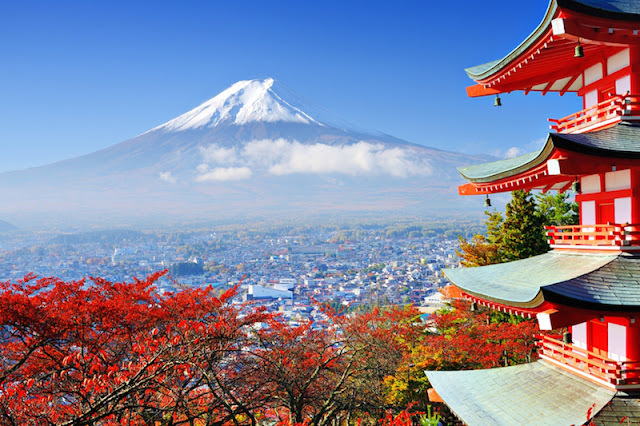 It's no secret that Japan's an expensive country to visit and explore. 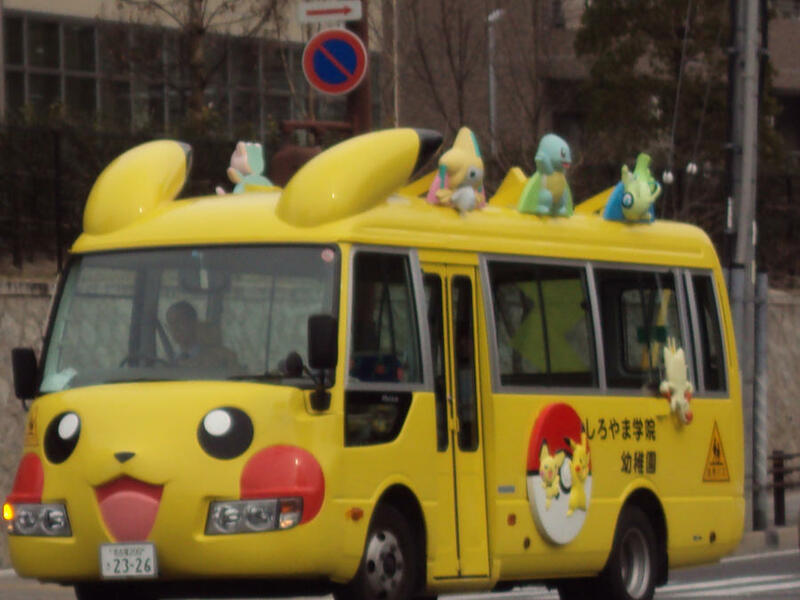 I've been around several countries in Asia and so far, Japan has the priciest accommodation and transportation. Justifiably, the accommodations in Japan, even the youth hostels, are really clean and safe. The transportation system is dependable and efficient. Still, wouldn't it be nice to save some Yen while enjoying this country? One secret to travel cheap here is by using the Seishun Juhachi Kippu. In Translation it means, Youthful 18 Ticket. (Juhachi= 18, Kippu= ticket). It's a collection of 5 tickets to JR local trains worth 11500 Yen. Tucked away in the quiet town of Waji, Hamamatsu are the small lovely shops of Nukumori no Mori. Nukumori no Mori means Forest of Warmth. I've been hearing about Nukumori no Mori from a few people but I haven't got the chance to see it until last Monday. Monday was a holiday, one of my friends was celebrating her 30th birthday and another friend wanted to test her driving skills, so off we go to Nukumori. The fine weather was a perfect backdrop for the fairytale-like structures which we're about to see. From the road, we walked for about 5 minutes before we saw the small cluster of buildings. They look like they came out of the pages of a storybook. However, Nukumori no Mori is no forest. The whole area is not even that big. There are only 2 shops on the left- a leather purses shop and a sweet shop. On the right is a big house-like structure. It has a restaurant on the basement. On the ground floor are assorted items- figurines, pottery, jewelry, candles and some interesting trinkets. There's some handmade bags and dresses on the second floor. Across the yard is a small cafe. Aside from coffee, they have cakes and bread. Only my friends bought some cakes and they said it tastes good. (When does a cake taste bad?) The yard itself is peppered with small tables and chairs which are great for a light snack. It took us half an hour to sightsee, take some pictures and buy the cakes. The place was that small. So should I recommend it? Only if you're heading in that direction or only if you have another place to visit within the area. Maybe if you're on your way to an onsen in Kanzanji. In our case, we headed further north to Kiga to eat lunch in an Italian place there. We only took this trip because we have the convenience of a car. Otherwise, I would say, it's not that worth it. If you still want to visit, here`s Nukumori no Mori's website. It has a guide map for those wanting to visit.